The good news is that small bathroom storage ideas do exist. They might be a little more creative than the ones typically displayed in home and garden magazines, but that just means your space will be unique. There are a few things to consider when thinking about organization in a tiny bathroom. Are you taking advantage of the entire space? Are you hanging, hooking, shelving and stacking things both horizontally and vertically? Can you do something more efficiently? For example, instead of folding your towels, can you roll them? Is your design actually functional? Will you use it? Will your kids use it? It’s pointless to install clever shelves and hooks if they’ll be ignored by your family. If this sounds like a lot to think about, don’t worry. 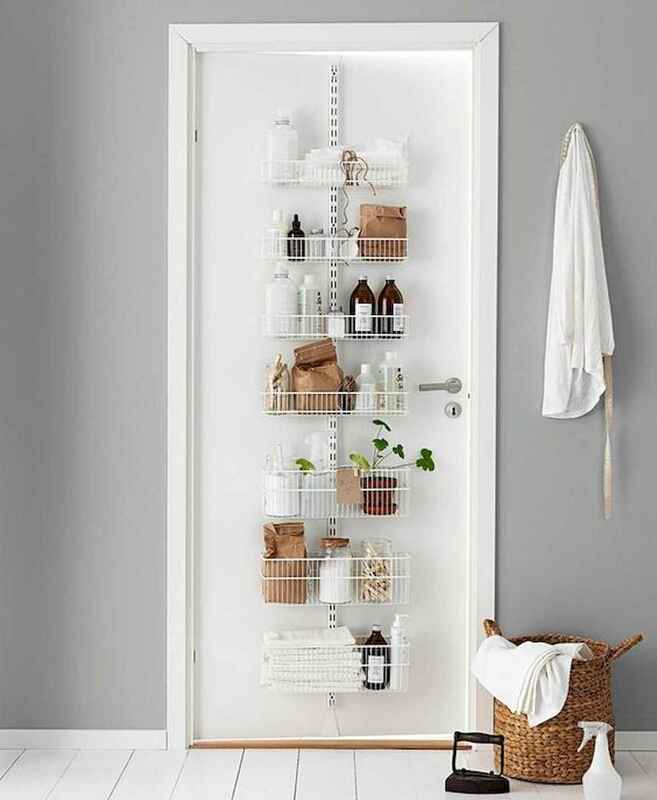 We’ve already done the work for you when it comes to finding and curating small bathroom storage ideas. Here are just a few ways to reorganize your towels and toiletries during your next round of spring cleaning.